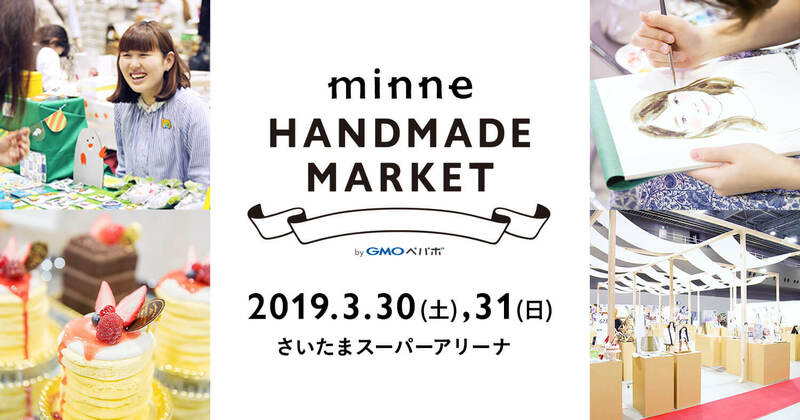 minne by GMO Pepobo, Japan’s biggest market for handmade items*, is set to host “minne Handmade Market 2019” at Saitama Super Arena on March 30 and 31 where around 1,700 booths will sell over 150,000 handmade crafts. *According to minne as of January 2019. Taken from public records of the three biggest services holding handmade markets in Japan. minne currently sells over 9.25 million items made by over 500,000 creators. The upcoming Handmade Market is the fourth run of the event. It will be the first time to be held independently at Saitama Super Arena and hopes to spread the fun of searching and sifting. Handmade items will include popular crafts that sell out instantly when they go on sale on minne, as well as food like bread and fried snacks. There will also be workshops carried out by creators as well as booths set up by those cooperating with the event, a display of handmade items that won the 2018 minne Handmade Awards, and more. It’s a chance to get your gands on the things you like while getting to speak to those who actually made them!